Yahshua has called us out of darkness into his marvelous light. Yahshua is the one true God and the shepherd of our souls, and He has called us out of darkness into his marvelous light. Those that follow Him in Spirit and in Truth, shall not walk in the depths of despair, but shall follow the illuminated path unto life everlasting (1 Peter 2:25; John 8:12; John 4:23). There is only one verse in all of the New Testament where the word shepherd, is translated to pastors (Eph 4:11). The problem with this translation is significant, and the article entitled one fold and one shepherd exposes this great deception. This subtle yet deceptive change, wherein the word pastors is inserted instead of the shepherd, creates a deadly precedence. This sets up albeit falsely, the justification for a hierarchy, allowing certain men to have authority over others. But we are a chosen generation, a royal priesthood, and a holy nation. We are a peculiar people; that we should show forth the praises of Him who has called us out of darkness into his marvelous light. In time past we were not a people, but now we are the people of God, which had not obtained mercy, but now have obtained mercy (1 Peter 2:9-10). Many who claim to be Christians claim to honor the Lord with their many words, yet their hearts are far from Him. When our knowledge of Christ is based upon the teachings and commandments of men, it is unprofitable or in vain (Matt 15:8-9). Christianity should not be just another religion, and yet as a result of the fraudulent majority who call themselves pastors, what we have is a multitude of new religions simply masquerading as Christianity. One of the leading causes of atheism must include Christians who acknowledge Christ with their lips at their various churches, but then walk out those doors and deny Him by their self-centered and materialistic lifestyles. Religion is simply man’s attempt to find or create a god or belief system that satisfies their selfish desires. True Christianity is Yahweh’s offer to us through Yahshua who was manifest in the flesh, unto transformation and ultimately everlasting Salvation. Mic 7:7 Therefore I will look unto Yahweh; I will wait for the God of my salvation: my God will hear me. 2 Timothy 2:15-16 Study to shew thyself approved unto God, a workman that needeth not to be ashamed, rightly dividing the word of truth. But shun profane and vain babblings: for they will increase unto more ungodliness. The truths contained in the Word of God are spiritually discerned, they are revealed to the faithful follower through the Holy Spirit, enabling us to hear, understand and obey the gospel of our Lord Yahshua (Heb 5:9; 2 Thes 1:5-8). Does Yahshua really sit on the right hand of God, or does this theory represent a conspiracy against the Messiah who is the mighty God and the everlasting Father (Isa 9:6). In my God Yahshua I will trust, and not be afraid; for the Lord Yahweh is my strength praise be to Yahshua (Isaiah 12:2). The Christian experience is a remarkable life-changing journey. 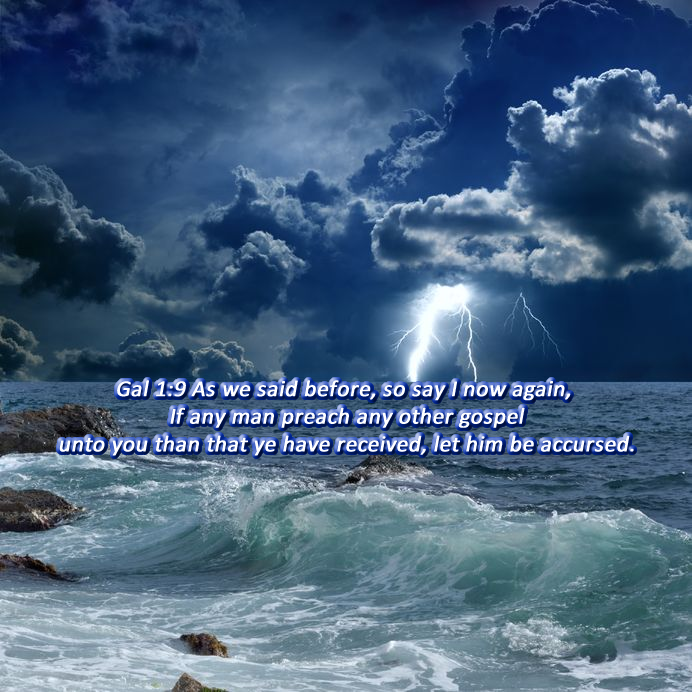 It begins when we are able to receive the testimony of Yahshua the Messiah. This begins the process of coming out of darkness into his marvelous light. As we diligently labor in the scriptures, the very Word of God enters into our mind and heart. When our study and prayer time become a labor of love, great joy and wonder overwhelm our senses. As we start to trust and believe in the New Law of Yahshua, our faith indeed grows stronger. But when we are able to finally submit to our Redeemer and Savior, He then becomes the Lord of our lives, unto a transforming relationship that can not be easily severed. When the Spirit of Truth which proceeds from Yahshua dwells in us, we can then begin to fully understand the Gospel message and the peace of God which passes all understanding. Many claim to have faith, but a worldly faith can easily be shattered if it is based on illusions and deceit, propagated by the false teachers in the Christian church. A Christian believer walking in the truth, as a result of the Baptism of the Holy Spirit, is kept by the power of Yahshua through an enduring faith. With the Holy Spirit, we can have a full assurance of the hope of our Salvation, and an understanding of the truth of the Gospel. It is only through Yahshua who is the Living Word that we can receive His precious gifts of Faith, Hope, and the knowledge of the truth unto Salvation. All of these incredible priceless treasures are bound together with Love (2 Cor 4:6, Gal 5:22, Luke 1:77, Eph 1:17). Those who deceive themselves, do not have the Spirit of truth and are therefore forever learning, and yet never able to come to the knowledge of the truth (2 Tim 3:7). To be Sealed with the Holy Spirit is the downpayment given to them who are born-again unto newness of life. This is when we are certain of Yahshua’s power, and our purpose, and position in Him (2 Cor 1:22, 4:13, Eph 1:14, Heb 10:22, 1 John 5:4). Yahshua is the light and all who are faithful to the calling see and accept that light. With His illumination, we become a beacon of truth so that others may also come out of darkness into his marvelous light (1 Peter 2:9). The generation that Yahshua came unto, for the most part, failed to receive him. These were not His children, as they never knew Him or Yahweh from whence He came (John 16:28). They deceived themselves and others with a false religion based on the traditions of men. Today within the religion of mainstream Christianity this same event is occurring. John 3:19-21 And this is the condemnation, that light is come into the world, and men loved darkness rather than light, because their deeds were evil. For every one that doeth evil hateth the light, neither cometh to the light, lest his deeds should be reproved. But he that doeth truth cometh to the light, that his deeds may be made manifest, that they are wrought in God. Through the spirit of Yahshua, we are able to judge ourselves by that same light thereby escaping the condemnation of eternal damnation (1 Cor 11:30-32, Mat 25:46, Mark 16:16). Isaiah 62:11-12 Behold, Yahweh hath proclaimed unto the end of the world, Say ye to the daughter of Zion, Behold, thy Savior cometh; behold, his reward is with him, and his work before him. And they shall call them, The holy people, The redeemed of the Lord: and thou shalt be called, Sought out, A city not forsaken. People frequently develop an irrational mental coping arrangement wherein they are unable and or unwilling to process scripture that conflicts with their existing beliefs, regardless of the validity of what is presented. The perceived value is, in association with clinging to false perceptions, correlates to what extent they will go to avoid the truths that would prove their beliefs to be false. The Biblical reason for this disorder is defined below. 2 Cor 4:3-4 But if our gospel be hid, it is hid to them that are lost: In whom the god of this world hath blinded the minds of them which believe not, lest the light of the glorious gospel of Christ, who is the image of God, should shine unto them. Below we will present several examples of this phenomenon that is prevalent in Christianity today. So many people allow contradictory beliefs to exist in their minds at the same time. 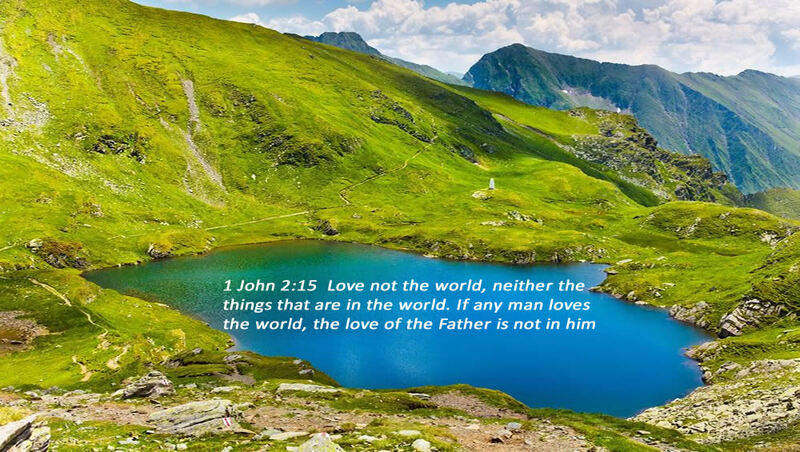 It should be understood that anyone that rejects the Son also rejects the Father (1 John 2:22, John 10:30). It is also falsely taught and believed by many that those in Israel today are the chosen ones or people of God, even if they reject the Son. Gen 12:3 And I will bless them that bless thee, and curse him that curseth thee, and in thee shall all families of the earth be blessed. Many adhere to the false teaching that the blessing in Genesis 12:3, is unto a modern-day people in Israel, when in fact it is unto Abraham and those who have the same faith in Christ (Gal 3:6-16). This blessing was given to Abraham who would be the father of nations through Christ; the blessing was not to Israel or Judah after the flesh that rejected the Father as well as the Son. The blessing is to the Israel of God, which most assuredly is not the man-made nation that exists today (Gen 12:1-2). Gal 3:14 That the blessing of Abraham might come on the Gentiles through Yahshua the Messiah; that we might receive the promise of the Spirit through faith. We all as true believers need to embrace the light and allow our deeds and actions to be manifest by that same light. Christ’s truth will allow us to come out of darkness into his marvelous light. Many spend a great deal of time masking their true nature, instead of dealing with it. These we compare to Halloween characters. They disguise true motives or intentions, and are but chameleons, changing with every situation. These are more interested in creating an illusion of righteousness to impress others, as opposed to submitting to the righteousness of Yahshua. It is impossible to come out of darkness into his marvelous light if you are an imposter. John 1:5 And the light shineth in darkness; and the darkness comprehended it not. We all need to allow the true light of our Savior and Lord to shine in us, exposing our sin and deception. If we, however, hold on to any part of our sinfulness, that cloak of deception will prevent the light of Christ from piercing the darkness within us. 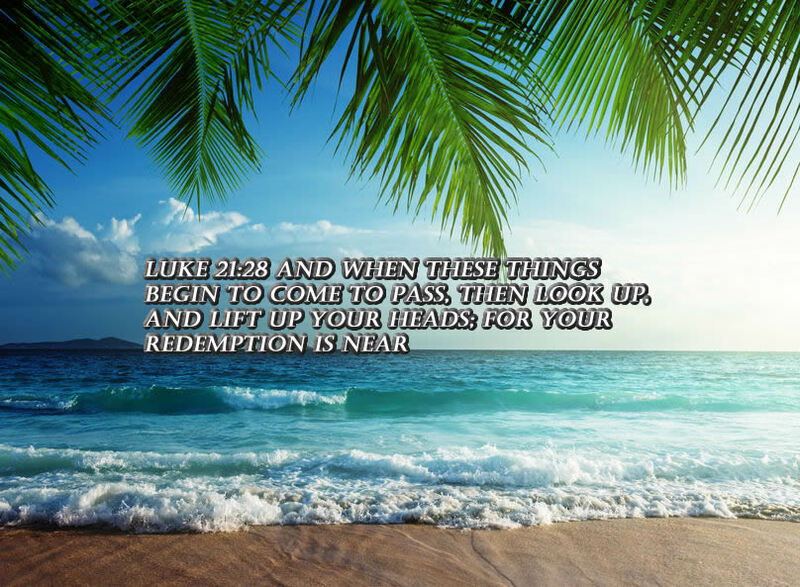 Matt 25:29-30 For unto every one that hath shall be given, and he shall have abundance: but from him that hath not shall be taken away even that which he hath. And cast ye the unprofitable servant into outer darkness: there shall be weeping and gnashing of teeth. From him who does not have that Holy Spirit of truth, even that which he thinks he has will be taken away (2 Cor 4:6, Luke 8:18). If we fail to share the truth with others, so that they may also come to the light, what we claim to have received never really was there, to begin with. Matt 5:13-16 Ye are the salt of the earth: but if the salt have lost his savour, wherewith shall it be salted? it is thenceforth good for nothing, but to be cast out, and to be trodden under foot of men. Ye are the light of the world. A city that is set on an hill cannot be hid. Neither do men light a candle, and put it under a bushel, but on a candlestick; and it giveth light unto all that are in the house. Let your light so shine before men, that they may see your good works, and glorify your Father which is in heaven. Salt is a preserver, and the light exposes darkness and reveals the truth. The Gospel of Christ is meant to be shared, and not hidden because of doubt, fear or apathy. Luke 11:34-36 The light of the body is the eye: therefore when thine eye is single, thy whole body also is full of light; but when thine eye is evil, thy body also is full of darkness. Take heed therefore that the light which is in thee be not darkness. If thy whole body therefore be full of light, having no part dark, the whole shall be full of light, as when the bright shining of a candle doth give thee light. When the eye is single the whole body is full of light. When we come out of darkness into his marvelous light, our eyes are focused on Yahshua as opposed to the fleshly lusts, that war against our souls (1 Peter 2:11). 3- Only then will he will flee from us, if we have embraced points 1 & 2. 1 John 2:3-6 And hereby we do know that we know him, if we keep his commandments. He that saith, I know him, and keepeth not his commandments, is a liar, and the truth is not in him. But whoso keepeth his word, in him verily is the love of God perfected: hereby know we that we are in him. He that saith he abideth in him ought himself also so to walk, even as he walked. Here we have a powerful testimony of who really loves Christ. Do we keep his commandments? There are two major commandments, and all of the other teachings of Christ fall under them. We must love Yahshua with all of our heart, mind and soul and our neighbors as ourselves. To come out of darkness into his marvelous light requires the infilling of the Holy Spirit. Without Yahshua, we can do nothing. He alone provides us with the power to accomplish this task. If we love this world, we have not the truth and walk in darkness. We must walk in the light, as he is in the light (1 John 1:7, 2:15). Our eyes have not seen, nor our ears heard, neither has it entered into our hearts, the things which God has prepared for those that love him (Isa 64:4; 1 Cor 2:9). When one studies the Lord’s Prayer it becomes clear that everything in this prayer is spiritual including our daily bread, which is the Word of God.